Las Vegas, NV—Tether Tools introduced the ONsite Versa V mount and ONsite Power Plug Angle adapter. They join its line of ONsite Power solutions. Tether Tools is a manufacturer of photography and videography solutions. The ONsite line is a travel-friendly power solution. At its core is the ONsite D-Tap to AC power supply unit. When paired with any standard D-Tap battery, the ONsite Power supply unit provides two AC outlets and four fast-charging USB ports. 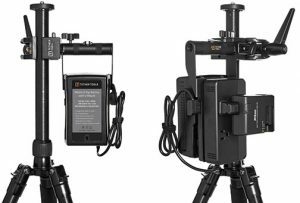 This allows photographers and videographers to keep powered on the go. 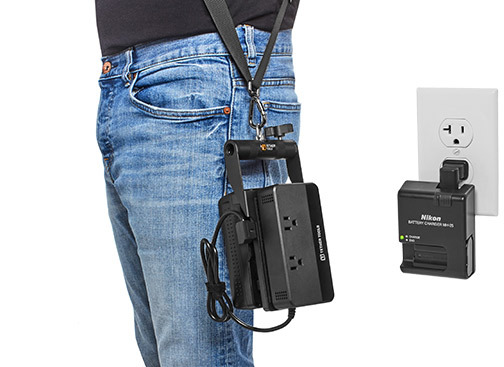 “With the ONsite Versa V mount and accompanying ONsite Power products, Tether Tools is proud to offer a versatile solution for photographers, videographers as well as digi-techs to keep their laptop powered and charge up camera batteries and other gear on location,” said Josh Simons, Tether Tools’ president. 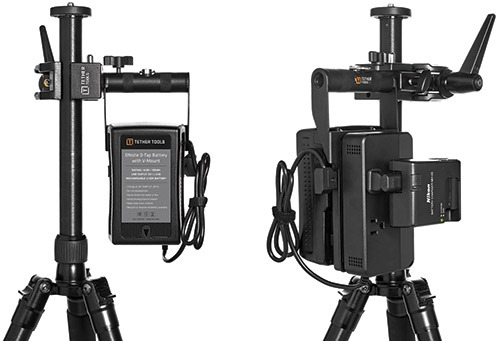 The Versa V mount offers a flexible, portable as well as safe way to mount the ONsite Power system. 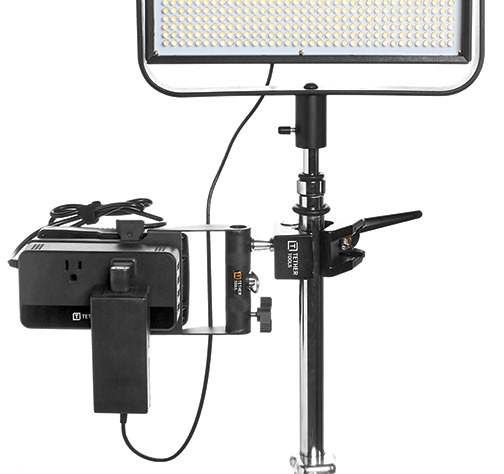 It mounts to a stand, tripod leg, hook or cart using common grip gear. The product permits the user to attach a 5/8-inch baby stud from either side of the Versa V mount and use a grip with a female 1/4″-20 to clamp from the top. Or they can mount a camera strap to the top using a 1/4″-20 mount. They can also use the included hitch D-ring to keep power close at hand. The ONsite D-Tap to AC power supply unit is secured to the Versa V mount via hook and loop. As a result, the power supply is easily removed and connected to the ONsite Aero V mount when using the Tether Table Aero. Furthermore, the ONsite D-Tap battery connects to the ONsite Versa V-mount plate using a quick release V-mount plate with female D-Tap connector, powering the power supply. In addition, Tether Tools debuted the ONsite Power Plug Angle adapter. It replaces the long bulky power cord on a camera battery or laptop charger, thus eliminating cable clutter. The device is a sleek, right-angled adapter. It enables photographers and videographers to plug their charger flush against a wall outlet, power strip or also an ONsite D-Tap to AC power supply unit. The complete ONsite system and accessories are now available through Tether Tools’ authorized resellers as well as tethertools.com. Tether Tools is a design and manufacturing company. 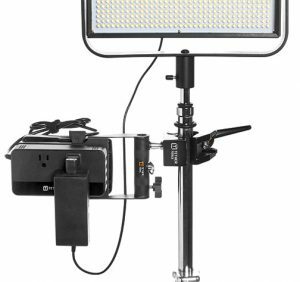 It offers custom photography and filmmaking equipment and accessories for in-studio as well as on-location photo and video shoots. The company’s mission is to provide the highest quality tethering and workstation solutions for creatives.